The Admissions Office oversees the student registration and school assignment process. Our goal is to provide helpful information that will make the registration process as fair and worry-free as possible. We’re always here to answer your questions and direct you to further information. 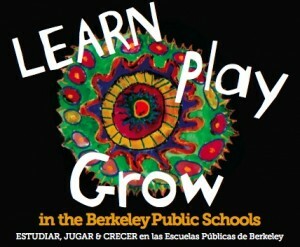 Berkeley is a vibrant community where families from around the world and of diverse heritage live and learn together. To meet the needs of our diverse student population, student registrations for our 11 elementary schools (K-5) are accepted throughout the school year through a centralized student assignment process. Students in grades 6-8 attend one of our two zone middle schools, or by choice are assigned through a random lottery to Longfellow Magnet Middle School. The goal of this system is to create integrated schools that provide students with the opportunity to experience the rich diversity of our city. For Preschool: BUSD Preschools are open for tours in February. Please see the preschool webpage for more information. Note: The Admissions Office will be open on Saturday, January 26th for K-8 enrollment. Round One: December 3-21, including Saturday Dec. 15. Round Two: March 26 and beyond on an ongoing basis. Continuing Students: Berkeley residents who are presently attending an elementary or middle school will automatically be able to remain at their current school. Students wishing to request to a change in schools must fill out a Parent Preference Form indicating their preference of schools for the next year. If space is not available at any of their choices, they will remain at their current school. Current fifth graders and 8th graders at all schools must fill out a preference form indicating their choices of school. Students’ birth certificate and proofs of Berkeley residency must be submitted at the time of enrollment. New Students: Parents of students who are entering Berkeley’s schools must fill out an enrollment form and list their preferences for schools. Along with the enrollment form, parents must submit the student’s birth certificate, report card if attending school, parent ID and three proofs of Berkeley residency. There are three categories of acceptable proofs of residency explained in detail at www.berkeleyschools.net/departments/berkeley-school-admissions/required-enrollment-documentation/. Each proof of residency must be less than two months old and have the parent’s name and address on it. Home visits to verify addresses may be done on a random basis. Under state law, parents may request any school in the district; however, first priority will be given to families who live in the school’s attendance zone. Immunizations: If your child is new to Berkeley Unified School District or starting preschool, transitional kindergarten, kindergarten, or 7th grade, you will need to provide your child’s school with documentation that your child has been fully immunized. A list of the required immunizations can be found here. Please note: As of January 2016, California state law (Senate Bill 277) no longer allows parents/guardians of students to submit a personal belief exemption form for any currently required immunizations. Children who have not provided BUSD with documentation verifying they have received all required immunizations prior to the first day of school (August 29, 2017) will not be allowed to attend school until all immunization records have been provided. If you have questions regarding immunizations you can read more here, or contact the district nurse Jocelyn Read at 510-644-6960 or JocelynRead@berkeley.net. Non-Resident Students: Students who are not Berkeley residents may request enrollment in Berkeley schools on an Inter-District Permit, if approved by the school district where they live and by BUSD. Inter-district permits must be renewed each year. However, no student attending on an Inter-District Permit will be placed until the permit renewal is received. Under Berkeley’s enrollment system, priority for enrollment is given to all Berkeley residents before inter-district students are admitted. As a result, permits are limited. More information regarding Inter-District Permits can be found here. If you have moved within Berkeley, please complete a Change of Address Form (available in English or Español) and submit it to the Admissions Office along with the required documents. If you have moved outside of Berkeley provide an inter-district permit,and read the section above for Non-Resident Students. More about our schools and programs can be found on the New Families or Students & Parents pages.